Need to find a pet friendly hotel in Macon GA? Click the Pet Friendly Accommodations Button below! 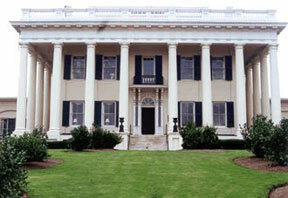 Macon is home to many Southern Historic Landmarks including the Hay House, the Cannonball House, and the Woodruff House. Annual Events and Festivals where your pet will be welcome include the Georgia State Fair and the Cherry Blossom Festival. The Cherry Blossom Festival is an annual spring festival that acts as a window to Middle Georgia area that draws thousands each year to Macon with its venues, locations, entertainment, arts & crafts, shows, services, and, of course, it's beautiful cherry blossoms. Finding pet friendly hotels in Macon is easy with PetTravel.com. Click the SEARCH PET FRIENDLY ACCOMMODATIONS button above for a list of pet friendly hotels, motels, bed and breakfasts, small inns, and vacation rentals in Macon. You can even book your reservations on the same page!